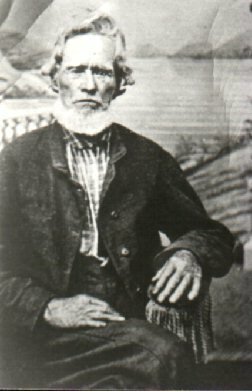 ABIJAH BIRDEN KEITH was born January 24, 1817 in Missouri, and died April 10, 1877 in Goldthwaite, Mills County, TX. He was the son of John Birden Keith and Polly Ann Crane. He married DELILAH ADELINE JONES November 04, 1838. She was born June 29, 1820 in Tennessee, and died January 03, 1915 in Goldthwaite, Mills County, TX. 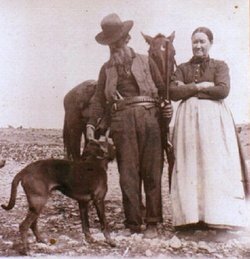 MARTHA ELIZABETH KEITH b. September 18, 1839, Arkansas; d. March 21, 1907, New Mexico. 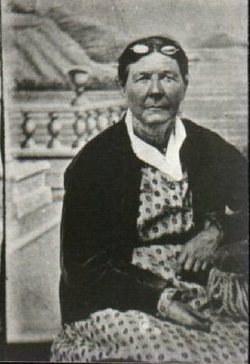 NANCY CAROLINE KEITH b. October 09, 1841, Arkansas; d. August 17, 1927, Mills County, TX; m. George Brown. MARY LAVINA KEITH b. August 13, 1844, Arkansas; d. January 21, 1908, Fort McKavett, Menard County, TX. JAMES KEITH b. Abt. 1833. SARAH REBECCA KEITH b. November 24, 1845, Titus County, TX. WILLIAM CRETH KEITH b. July 27, 1850, Hunt, Kerr County, Texas. 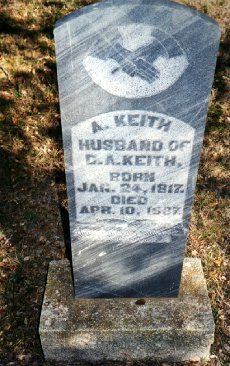 VIRGINIA A. KEITH b. September 03, 1853, Hunt, Kerr County, Texas. MISSOURI D. KEITH b. September 03, 1853, Hunt, Kerr County, Texas; d. September 03, 1853, Hunt, Kerr County, Texas. 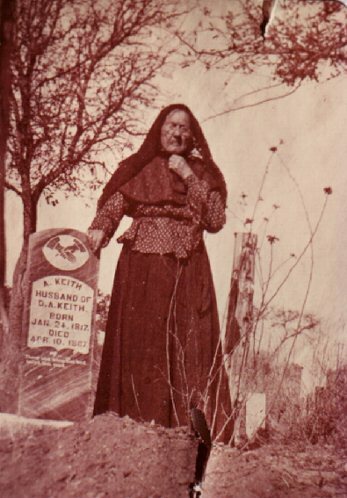 JENNETTA FRANCES KEITH b. January 01, 1856, Hunt, Kerr County, Texas; m. DAVID F. FAIRLEY. ABIJAH BIRDEN KEITH b. January 03, 1858, Hunt, Kerr County, Texas. GEORGE W. KEITH b. January 21, 1861, Hunt, Kerr County, Texas; d. January 26, 1861, Hunt, Kerr County, Texas. ELENORA PALESTINE KEITH b. March 01, 1867, Nolanville, Bell County, TX; d. October 11, 1940, Goldthwaite, Mills County, TX.